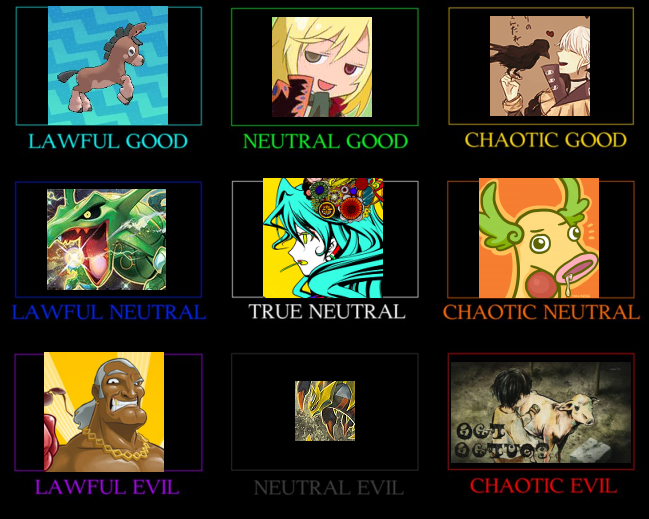 I made this D&D style alignment chart earlier for funsies, using suggestions from the Telegram chat. Okay but that's exactly where MD belongs anyway, don't lie. most of you have to share. I could only imagine where I'd wind up on one of these charts. Yeah, that's about where I belong. 'Least, that's where the personality test places me. I'd make a villain joke but it would be bad. You should do one of these with quotes underneath them. "Look at this cool new wallet I found in some guy's pocket!" That's how I feel... WHAT IS THIS? 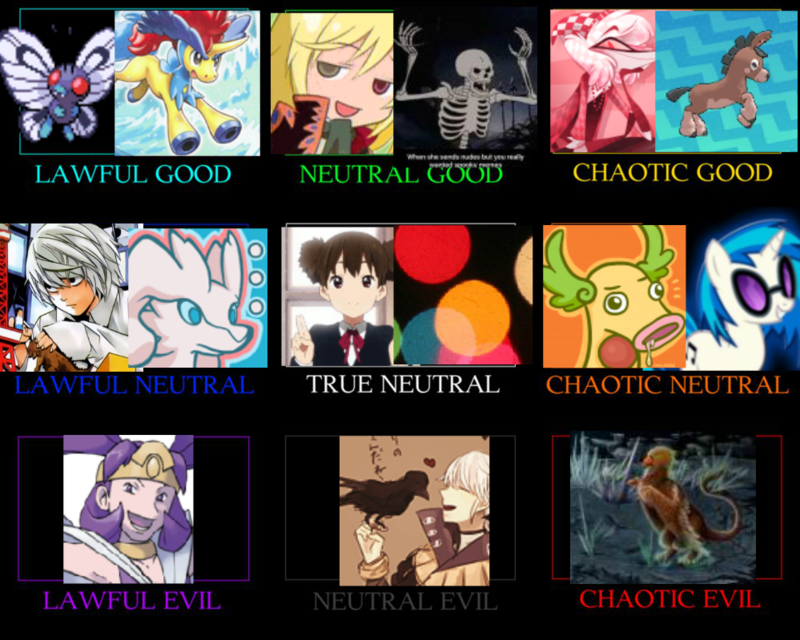 I know I belong in True Neutral. Alignment tests always give me that and I... generally just don't care about stuff. 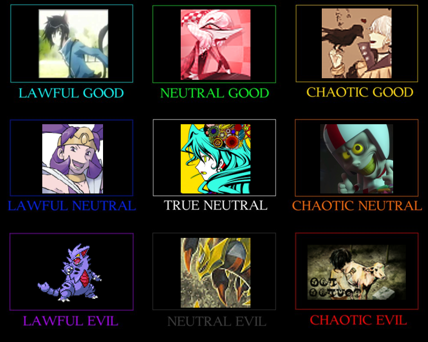 That's kind of the True Neutral's shtick.